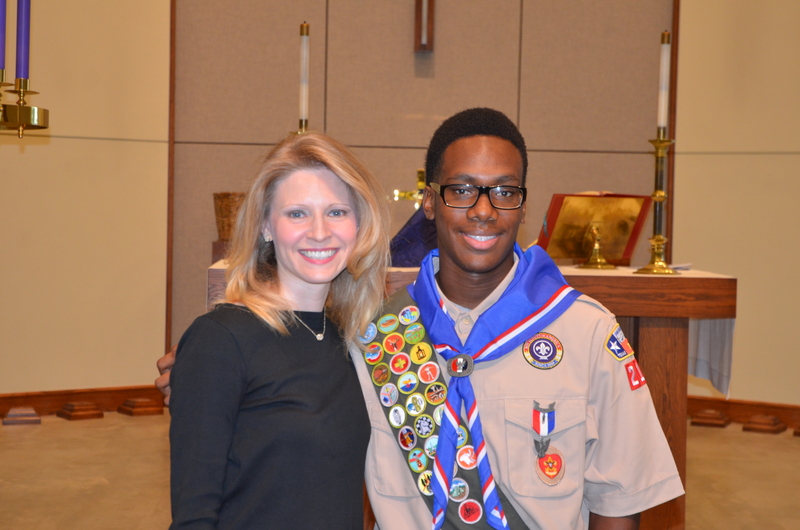 In 2014, Keith Douglas Baker II, then a sophomore at Ridge Point High School and an Eagle Scout with Houston Troop 212 completed his final merit badge in cycling. He was required to cycle 50 miles in eight hours. He admits it was a grueling task, but well worth the effort. He credits his school football and track coaches for preparing him for the event by keeping him in good physical condition on the football field and track. In honor of his accomplishment, Texas Senator Rodney Ellis congratulated Keith and invited him to visit his Houston office. Keith was honored to spend time with the senator and see a legislator in action. 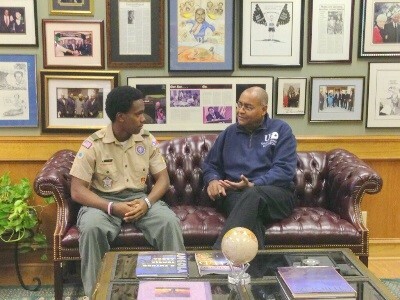 (Left to Right) Keith Baker is shown with Senator Rodney Ellis, who congratulated him on earning his final merit badge. Through the years, Keith’s experience in Boy Scouts has allowed him to do things that he never thought he would, such as mountain climbing, boating and metal working. “I really enjoy hiking,” said Keith. 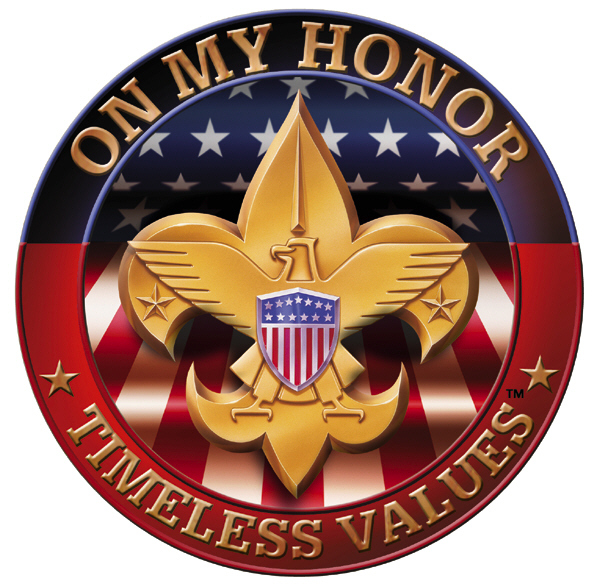 “Our Scout Master gives us challenges while we are on the hike, so that makes it interesting and exciting.” Keith was selected by his troop members to be a member of the Order of the Arrow, which is an honor club for Boy Scouts. 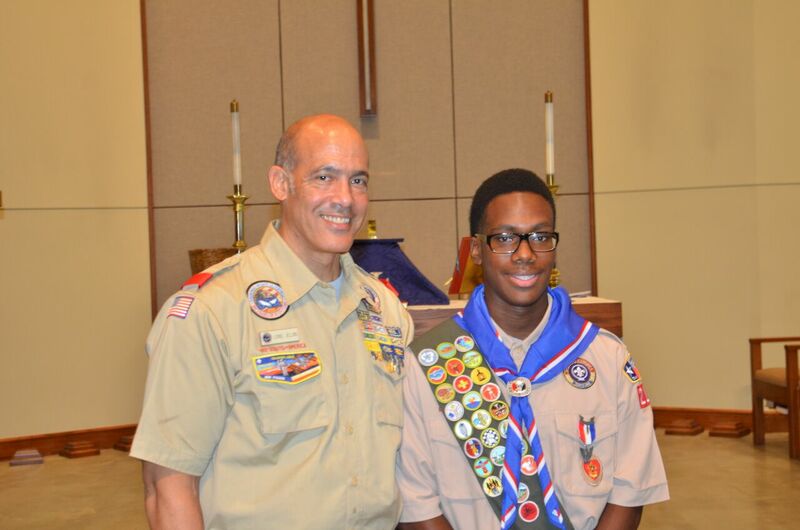 Keith served as Senior Patrol Leader and earned Life Rank in his Troop #212. 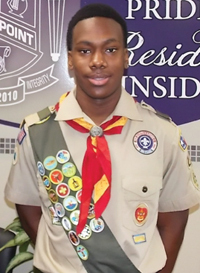 By earning certain merit badges, Keith met the requirements to become a Life Scout, and as the Senior Patrol Leader, Keith encouraged his troop members to be the best they can be while actively participating in the troop’s activities. In 2014 young Baker led his Troop and a host of community volunteers in a beautification project for Beth Jacob Cemetery, which belongs to the United Orthodox Synagogue of Houston. Baker and his fellow Troop members cleared the back area of the cemetery of trash and debris, and helped haul the items to a nearby solid waste management depository site. As he advances his skills on the field, Keith is also working to sharpen his skills on paper. Keith is a talented artist and was recently inducted into National Art Honor Society. “I like art because it is an expression of my creativity,” said Keith. “I am always looking to learn new mediums of art and being able to create whatever comes to my mind.” Keith specializes in pop art and self-portraits. Next year, he will be taking a graphic design class to study another form of art. 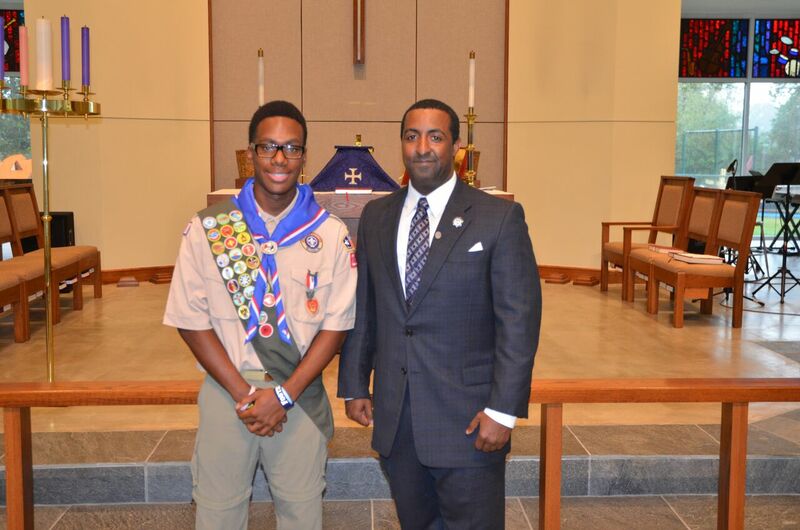 Photo: In the Fall of 2015, Keith received his Eagle Scout Rank from Troop 212 Scout Master Lionel Jellins. With the support of his mother, T. J. Baker, family, teachers, troop members, Keith will continue to be a hard-working, generous, and responsible leader. Today Keith is reviewing a number of college offers and focusing on graduating from high school with honors. Publisher’s Note: Portions of this article were from an article from the Fort Bend Focus Magazine, Houston, TX by By Lauren Dante Benoit. Special thank to Ms. T. J. Baker, for being a strong working single mother supporting her son. Hey Buddy!, I found this information for you: "Youth Spotlight featuring Keith D. Baker II". Here is the website link: https://blackmeninamerica.com/youth-spotlight-featuring-keith-d-baker-ii/. Thank you.